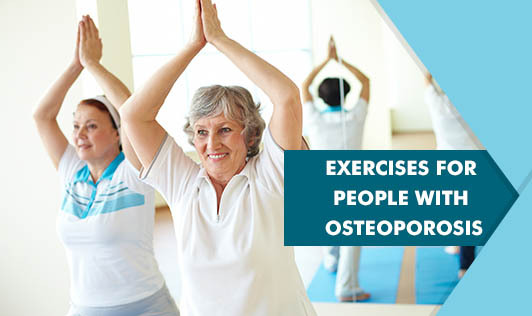 Osteoporosis is a debilitating bone disease characterized by the deterioration of bone tissue, leading to bone fragility and an increased risk of fracture. It not only affects posture but also, living with osteoporosis can be very painful. A nutritious diet rich in calcium and vitamin D-rich foods and regular exercise can reduce the risk of osteoporosis in later years. Your exercise regime should include something from all 3 groups. Note: Always make sure you hold onto something in case you trip.